never a good neighborhood is now worse. as they lay on their sides, dead horses, defeated. I was trying to kill mine so I could have a ten-speed. folded up and fit into a small, circular zipper case. she wanted then that she did not already have. 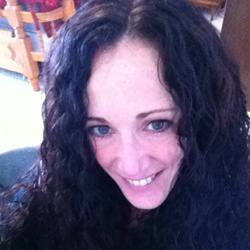 Recent two-time Puschart nominee, April Salzano teaches college writing in Pennsylvania where she lives with her husband and two sons. She recently finished her first collection of poetry and is working on a memoir on raising a child with autism. Her work has appeared in Poetry Salzburg, The Camel Saloon, Blue Stem, Writing Tomorrow and Rattle. She serves as co-editor at Kind of a Hurricane Press.